Have you ever wondered why solar products are gaining popularity by the day? Apart from its environmental benefits, there is another big advantage that draws people towards this technology. It is the money you can save in long-term use. ‘Long-term’ is a huge word for solar products; you can say that it is the basis of their survival. In order to recover the invested money, solar power products should be good enough for long-term use. So quality of a home solar power system should be of very high standards, otherwise it just won’t survive in the market. Whenever you think of a solar based PV system, the first thing that will come to your mind will be about the batteries. 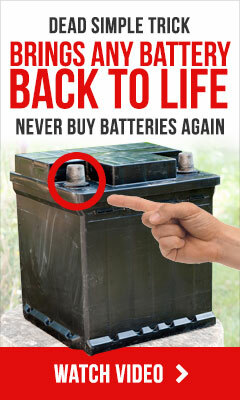 You will be concerned about the life of the batteries. Solar batteries are quite costly and so it is very important that you have a solar charge controller installed in your solar power system. The life of the battery depends heavily on the solar charge controller. The function of a solar charge controller is to regulate the power going from the panels to the batteries. For example on a sunny day the panels may generate more power than the batteries could actually store, which might lead to overcharging and harm the batteries. In this case, the solar charge controller controls the power generated and only sends the permissible amount of power to the battery. The technology used in the solar charge controller is called PWM or Pulse Width Modulation. This technology ensures constant voltage battery charging. It is done by switching solar system controller’s power devices. With PWM we can prevent overcharging by controlling the power generated. PWM is an essential technology for prolonging battery life. The problem with solar batteries is that, they release lots of gases during charging and discharging cycles, which in turn reduces the battery life. Solar charge controllers without Pulse Width Modulation system will not be able to deal with the gassing problem. The working of PWM is based on algorithms, which works by gradually reducing the charging current to avoid overheating and gas release, ensuring normal charging of the battery at the same time. This technology provides you a highly efficient, quick recharging and durable battery at full capacity. Some of the latest PWM chargers also come with additional features like recovery of lost battery charging capacity, increased charge acceptance etc. There are a variety of PWM based solar charge controllers available in the market and choosing the right one is always a tough task. Moreover they will be coming with a high price tag, so it would be better to do some research about the manufacturer and find out whether they provide high quality ones or not. You can ask some of your friends for referrals. Don’t go for cheap and low quality ones which will harm your system. Always look for warranty and servicing information. Make sure that the manufacturer has got good service coverage in your area. If chosen wisely, it is guaranteed that this technology will help to increase the efficiency and durability of your battery bank.